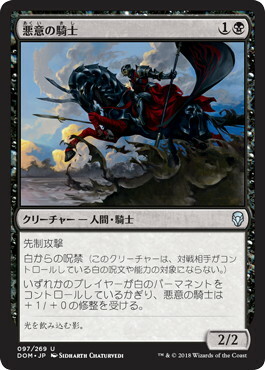 Oracle First strike Hexproof from white (This creature can't be the target of white spells or abilities your opponents control.) 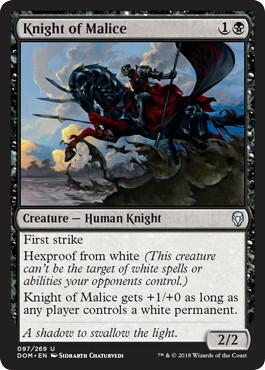 Knight of Malice gets +1/+0 as long as any player controls a white permanent. Flavor Text A shadow to swallow the light.